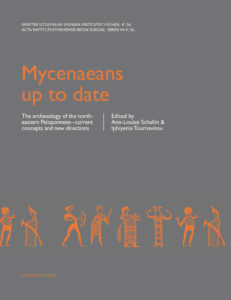 This volume contains the proceedings of the conference Mycenaeans up to date: The archaeology of the north-eastern Peloponnese—current concepts and new directions, which was held 10–16 November 2010, under the auspices of the Swedish Institute at Athens. The published papers reveal the latest news in the field of Mycenaean archaeology in the Argolid and the surrounding areas. Ongoing fieldwork, as well as new interpretations of the extant archaeological material is presented and discussed in detail. The first part of the volume consists of papers dealing with new, unpublished evidence regarding many of the well-known Argive sites, including Mycenae, Tiryns, Argos, Midea, and the Nemea Valley, among others. The second part is devoted to in-depth studies on a number of major themes, such as Mycenaean architecture, administration, mortuary practices and religion. Ioulia Tzonou-Herbst | “ΑΦΝΕΙΟΣ ΚΟΡΙΝΘΟΣ”: Mycenaean reality or Homeric fiction? K.A. Wardle | Reshaping the past: Where was the “Cult Centre” at Mycenae? Ann-Louise Schallin & Iphiyenia Tournavitou (eds. 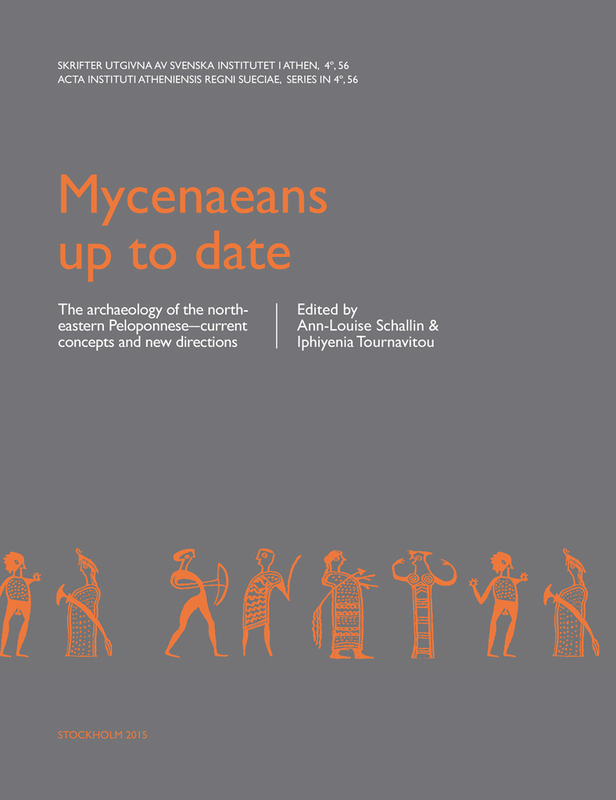 ), Mycenaeans up to date. The archaeology of the northeastern Peloponnese—current concepts and new directions (Skrifter utgivna av Svenska Institutet i Athen, 4°, 56), Stockholm 2015. ISSN 0586-0539. ISBN 978-91-7916-063-0. Hardcover: 630 pages.